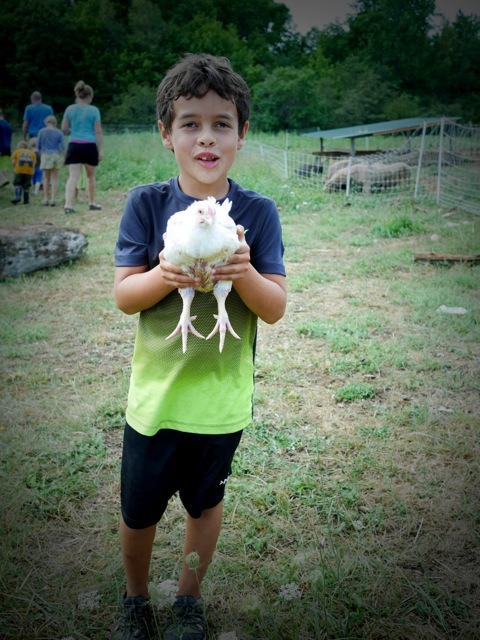 Connecting children ages 6 to 13 with their food and nature, through sustainable farming. 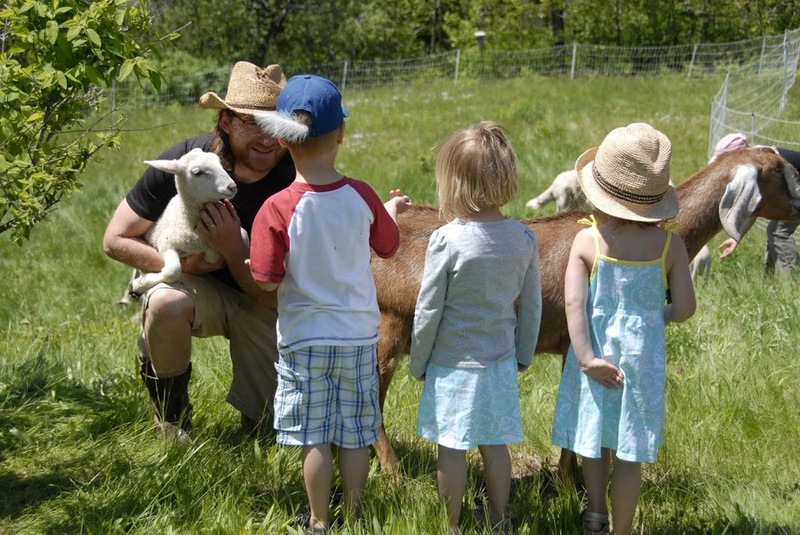 Toddy Pond Farm camp offers children and young adults ages 6-13 the opportunity to experience hands on farming on a sustainable family farm. Through work with the animals, gardening, and nature exploration our time together will emphasize the connection between healthy pastures, healthy animals, healthy food, and a healthy planet. Participants will start the day in morning circle gathering together to make a plan for the day. From there we’ll head out for our morning “farm walk” a daily check-in with all the animals to make sure everyone is happy and healthy. Since all of the animals are on pasture for the summer this can be quite a tour! Some of the chores include bringing feed and fresh water to the pigs and piglets that run in a large section of lower pasture and woodland. We’ll gather fresh grown greens for the dairy cows (who love a treat from the garden after milking) and sweep out the barn; replenish the minerals and water for the sheep and lambs, feed and water the chickens, collect eggs, care for baby chicks, bunnies and more! Following chores we’ll break for a snack before jumping into our project time. 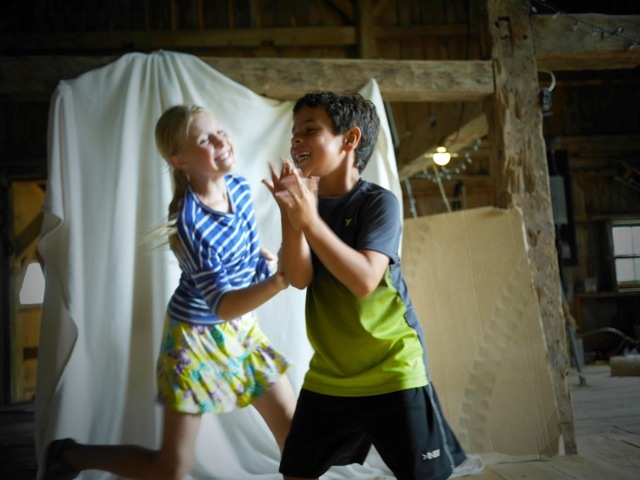 Children will have the choice of working on several short projects throughout the week such as wool felting, crafts, ice cream making, or honey extracting, or delving into a larger week long collaborative project which may include small construction projects, or working on a large farm mural. Campers will have lunch together followed by quiet time/free play, nature journaling, reading or games. Each afternoon we’ll head out to the vegetable garden for seasonal work there--whether it's planting seeds, squashing potato bugs, picking berries or harvesting veggies for the farm stand it's sure to be fun (and dirty) work! Of course we’ll make time to wash and eat some of our harvest for a healthy afternoon snack. Then, a bit more fun and games in the shade, a hike up Hustus Hill, or exploring the streams and edges of Toddy Pond for pond life, before we head out for an afternoon farm walk to check the animals once more. We’ll end each week by inviting parents to join us on our afternoon farm walk to meet the animals, experience the farm, and then retire to the shade for a picnic from the garden and homemade ice cream! Toddy Pond Farm is a diversified family farm in Monroe Maine. The farm's 500+ acres of fields, woods, and waterfront rest at the end of a quiet dirt road overlooking Toddy Pond. The farm is run by Heide and Greg Purinton-Brown and their sons, Guthrie and Oliver. Jasmine Fowler (Heide's sister) co-directs and runs Toddy Pond Farm Camp. Jasmine holds a BA in Early Childhood Education from UNH and is mom to three homeschooled children. Jasmine and her kids have been helping on the farm for years. Her enthusiasm for experiential education coupled with a passion for sustainable food systems sets the stage for a rich, and rewarding experience for each child. PLEASE USE THE FORM BELOW TO REGISTER. IF YOU ARE REGISTERING MULTIPLE CAMPERS FOR SAME OR DIFFERENT SESSIONS PLEASE SUBMIT SEPARATE FORM FOR EACH CHILD. WE OFFER A $10 PER SIBLING DISCOUNT FOR SAME SESSION ENROLLMENT. If this camper will have a sibling enrolled in the same session please let us know here. Be sure to submit a second registration for your other camper. Please let us know anything you feel is important to know about your child. Thank you for enrolling your child in the Toddy Pond Farm Camp. A welcome email will be sent to you upon receipt of your online registration. A $50 non-refundable deposit will be required to hold your child's spot. Camp fee balance will be required 2 weeks prior to session start date. If you need to cancel, please notify us in writing 2 weeks prior to start date for full refund (less deposit).